There are many biographies of John Calvin, the theologian - some vilifying him and others extolling his virtues - but few that reveal John Calvin, the man. ^^Professor and renowned Reformation historian Herman Selderhuis has written this book to bring Calvin near to the reader, showing him as a man who had an impressive impact on the development of the Western world, but who was first of all a believer struggling with God and with the way God governed both the world and his own life. ^^Selderhuis draws on Calvin's own publications and commentary on the biblical figures with whom he strongly identified to describe his theology in the context of his personal development. Throughout we see a person who found himself alone at many of the decisive moments of his life - a fact that echoed through Calvin's subsequent sermons and commentaries. Selderhuis's unique and compelling look at John Calvin, with all of his merits and foibles, ultimately discloses a man who could not find himself at home in the world in which he lived. 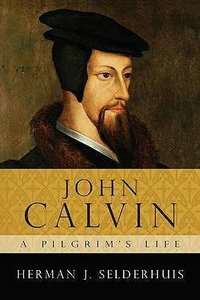 About "John Calvin - a Pilgrim's Life"